Grain and other raw materials processed within hammer mills are known to include a risk for dust explosions due to the nature of its handling and storage prior to and during grinding. 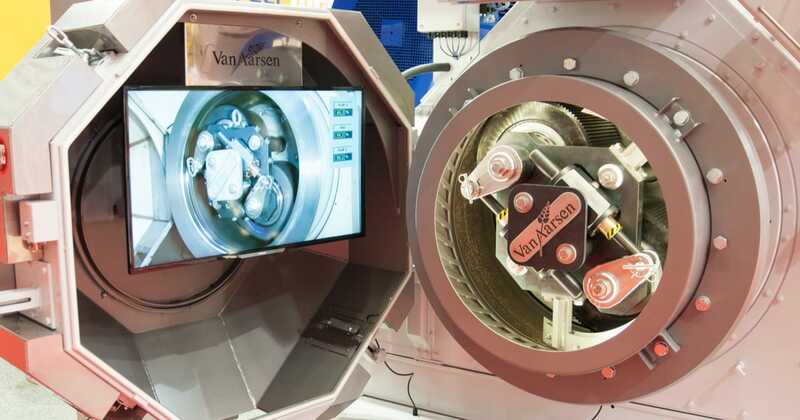 To minimize the explosion risk in the grinding process, Van Aarsen introduces a heavy parts separator in its feeding device (also called ‘stone catcher’). The risk of an explosion occurs when dust comes in contact with an ignition source, like sparks, in an oxygen rich environment. And this is exactly what may happen during the start and stop of a grinding process in the hammer mill. No wonder we are focusing on measures that limit the possible conditions for ignition, without influencing the grinding process. An air flow, which provides an oxygen rich environment, is needed for the optimal performance of the hammer mill. Dust is a logical result of the grinding process. , and within the correct limits, with sufficient oxygen, an explosion is only a small spark away. Preventing sparks within the grinding chamber is the ultimate factor that can be influenced. Van Aarsen hammer mills – like most hammer mills – standardly include a magnet cleaner in the feeding device. But not only ferro parts are responsible for sparks. Also heavy parts such as stones represent a risk. The new feeding device includes a heavy parts separator as well, preventing stones and other heavy parts from entering the hammer mill and thus minimizing the explosion risk. 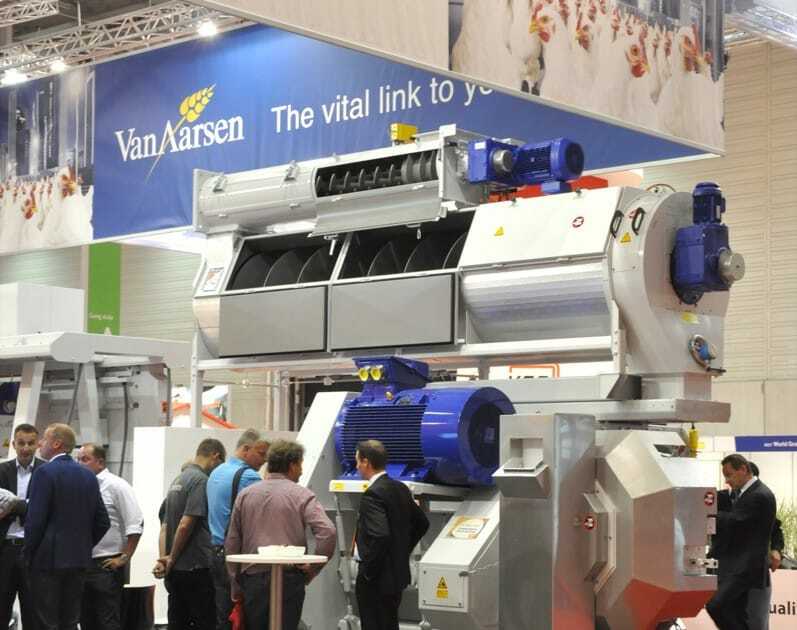 The Van Aarsen heavy parts separator will bring you additional benefits. The new feeding device is a compact, yet robust machine that is designed to be combined with the GD hammer mill and also the automatic screen exchange. Not just the prevention of sparks helps you to limit the risk of a dust explosion. It is also important to control the relieve of the explosion when it should occur. A set of measures is needed to create an optimal safe working environment. Detection systems can detect hot particles or sparks and activate preventive measures upon detection (water extinguisher, automated shut down, opening of diverter valves). An explosion relief on the bin below the hammer mill will control the relieve of the explosion when it should occur. 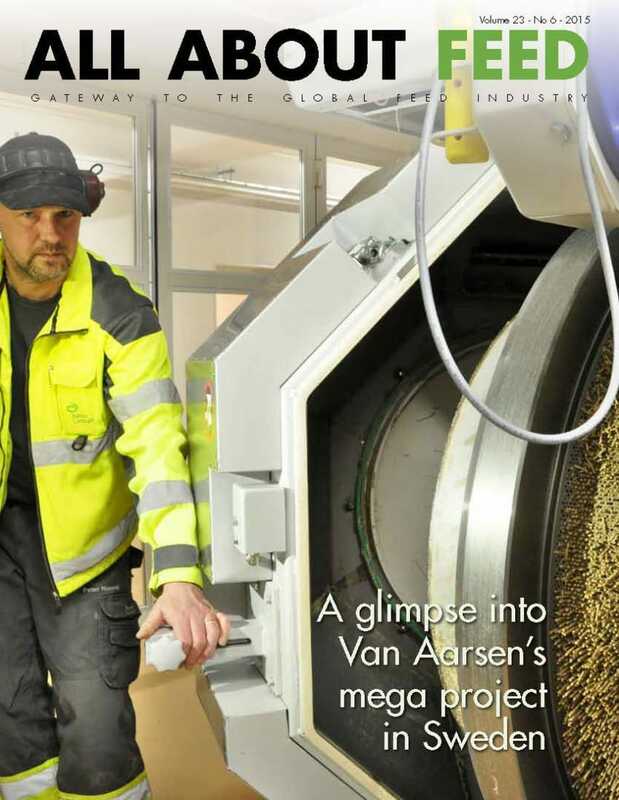 Van Aarsen completed construction of the most modern feed mill in the world at the southern port of Kalmar in Sweden. This new, state-of-the-art plant was commissioned by the Kalmar Lantmän cooperative. Its realisation – from concept to completion – represented the largest ever order in our 66-year history. For our company, the completion of this major project demonstrates our ability to meet the technological requirements of ultramodern feed-mills well into the 21th century. 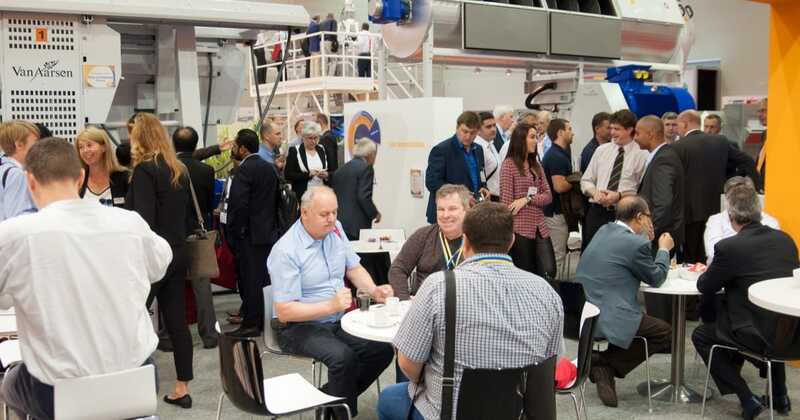 By means of a press conference and invitation of the press to witness the feed mill themselves the feed mill has lately been presented to the world. Darren Parris and Olivia Holden of Milling and Grain and Emmy Koeleman of All About Feed joined us during a factory tour where Åke Karlsson and Reijne Erixon from Kalmar Lantmän showed us around. 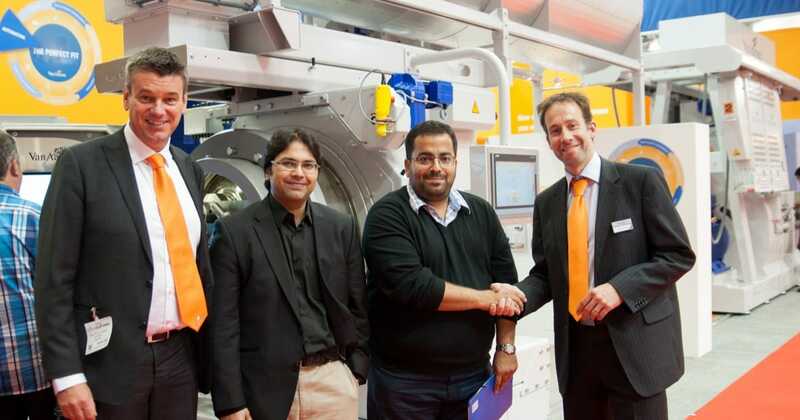 They shared proudly the complete story from first decision making to operation of this ultra modern feed mill. 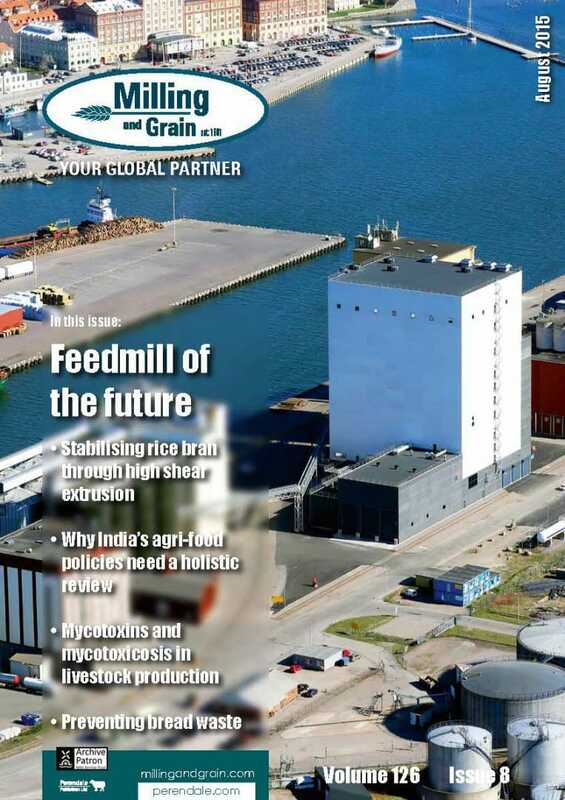 It resulted in enthusiastic and interesting cover stories in both Milling and Grain and All About Feed which we are proud to share with you. You may click on below covers to read the articles. 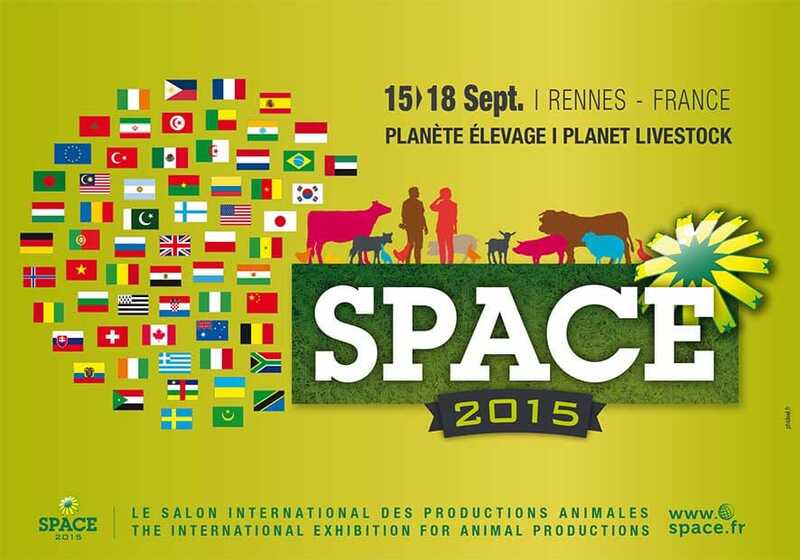 We welcome you to visit us at the SPACE 2015, a leading global expo for the livestock industry. 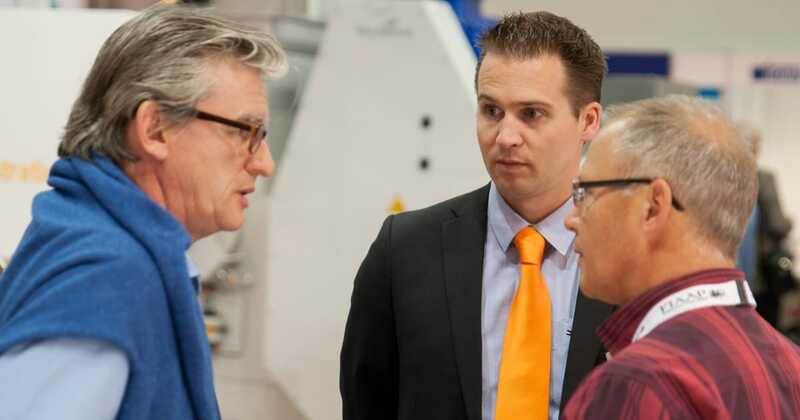 Our area manager Frank Vossen and local representative Philippe Allard of Sarl Seter will be there to welcome you. We will be delighted to talk about your feed production process. Your expectations and requirements are our starting point in helping you realizing a perfect fit. 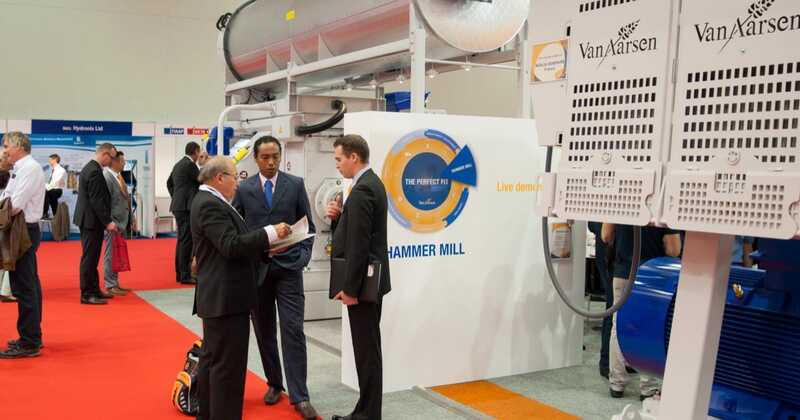 During the SPACE 2015 we will present the GD hammer mill with automatic screen exchange. 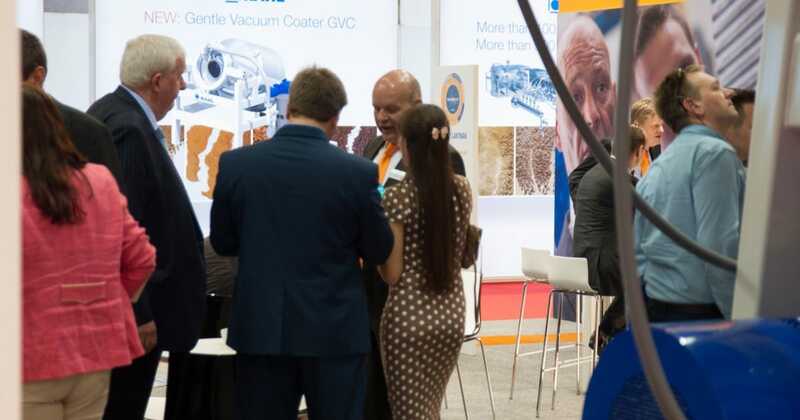 A proven concept for high quality and flexible grinding and therefore in great demand. 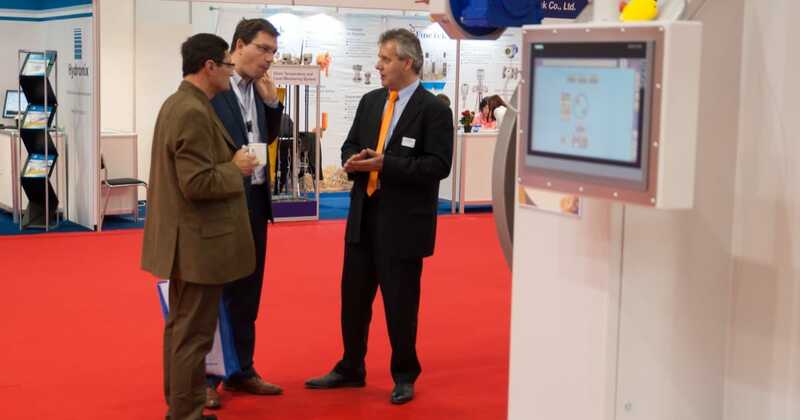 We invite you to come to our stand and witness the live demonstration of the automatic screen exchange. 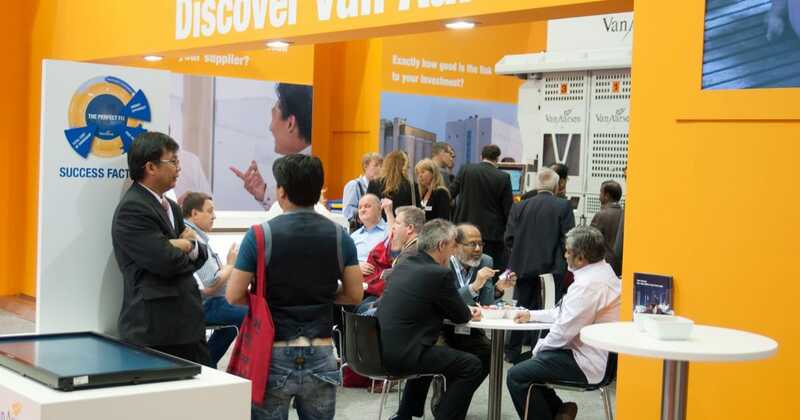 We were happy to see you at the Victam International in Cologne. You helped us making this event to a success. 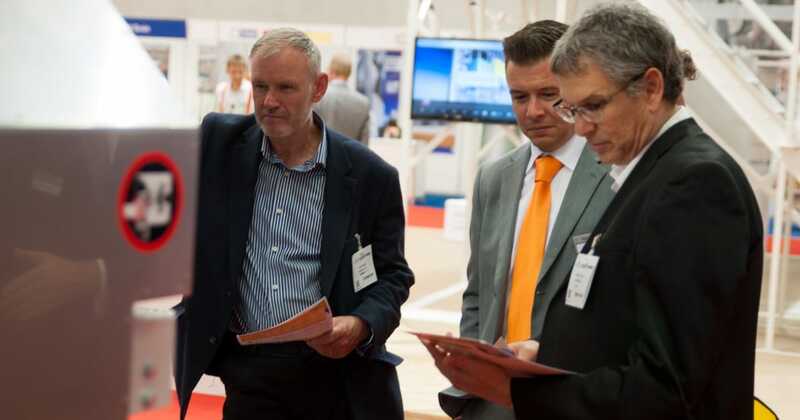 We welcomed more than 400 visitors from 51 countries on our stand. 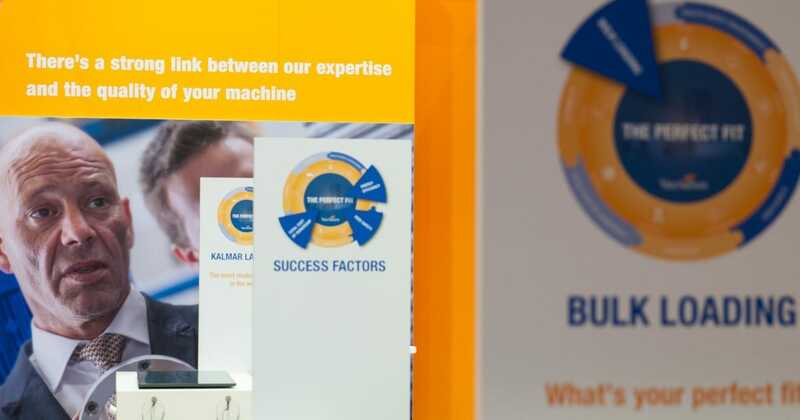 We enjoyed showing you our new look and message, the success story of Kalmar Lantmän, the most modern factory in the world and demonstrate the new C2 Dynamic pellet mill and the automatic screen exchange on the hammer mill. We were extra proud to be awarded two contracts, respectively for pellet presses in Pakistan and transport systems in the Philippines. We hope you had a great Victam as well. 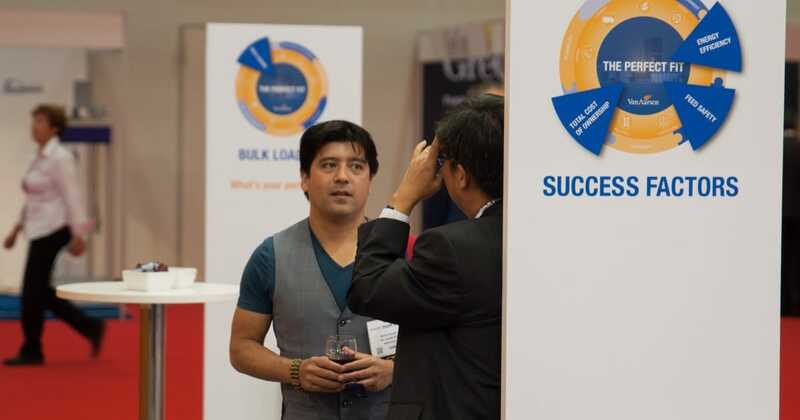 Our business relationship is important to us and we like to take every opportunity to connect with you, face-to-face. 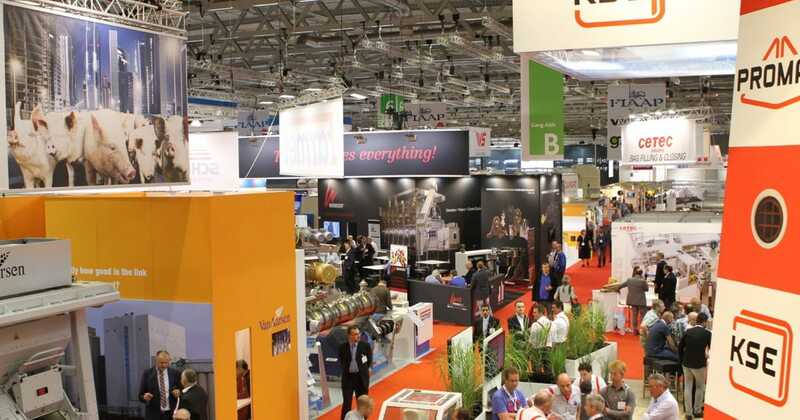 That’s why we’d like to invite you to visit us at the Victam International 2015 in Cologne. 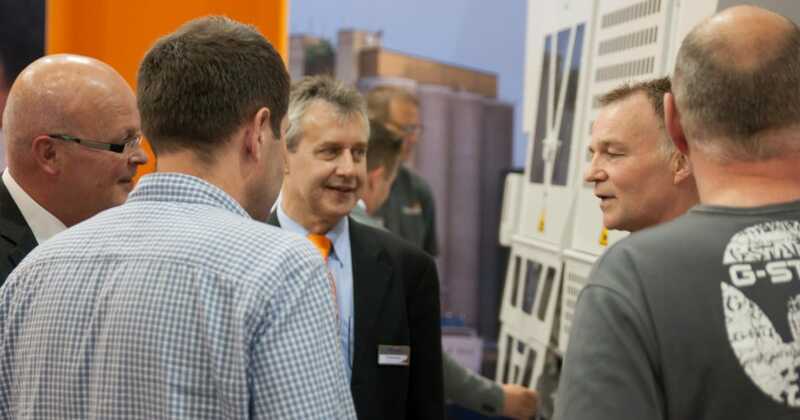 We take time to get to know you and your feed mill. That forms the basis for understanding your requirements and realizing the perfect fit. We have experience in building feed mills with minimum energy consumption and the best in hygiene and wish to share this knowledge during the Victam with you. 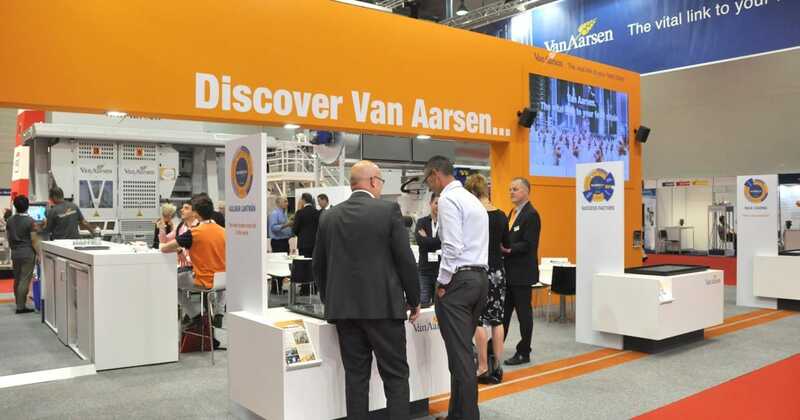 Next to the proven C pellet mill range Van Aarsen will present the next generation C2 Dynamic pellet mill range featuring the latest developments in the field of pelleting. Motor-operated roller adjustment. 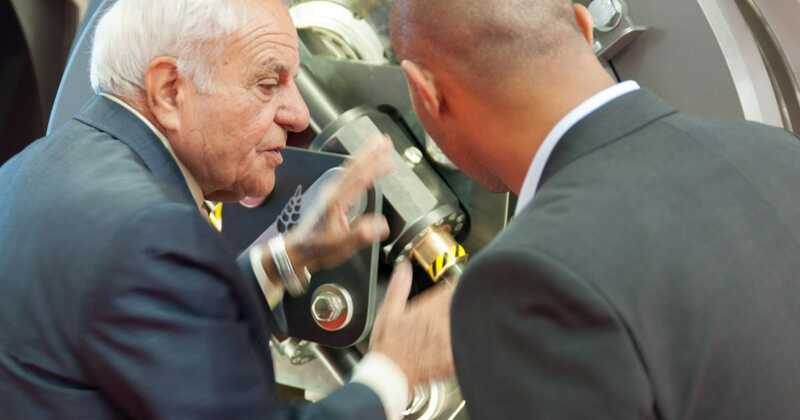 This feature provides a simple operation, with less wear of the die and rollers and an optimization of the operating conditions for each individual recipe. Active rollerslip control. 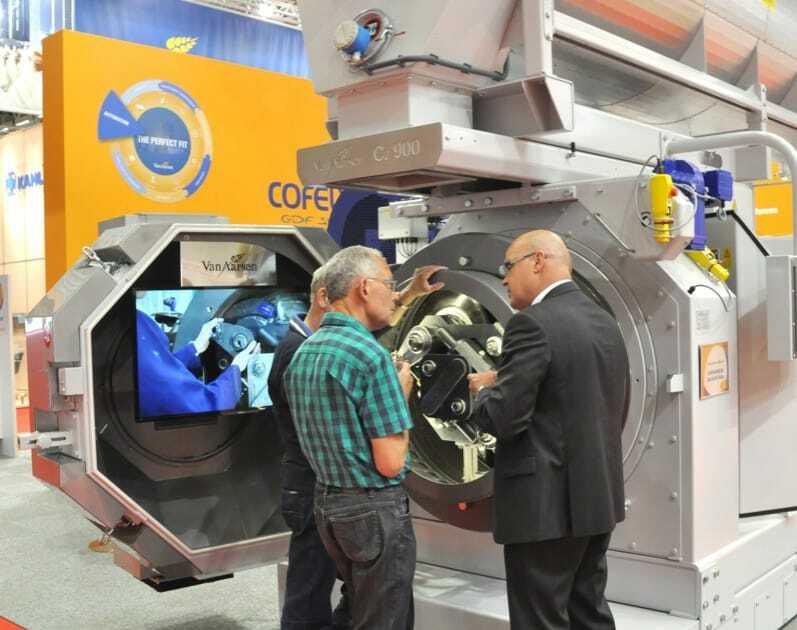 This feature provides a trouble free pelleting process of all recipes and the opportunity to optimize production settings. In short: optimal performance of the pellet mill with minimum man power and at the lowest operational costs! Apart from the new pellet mill we will also present the GD hammer mill with automatic screen exchange. 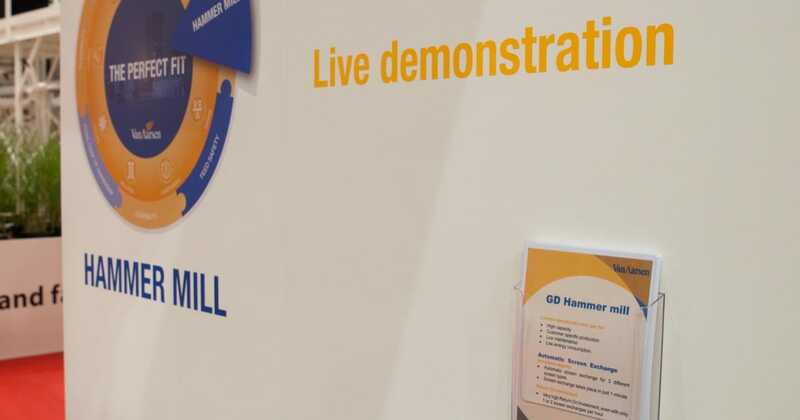 The GD hammer mill was introduced 4 years ago and has become a proven concept for high quality and flexible grinding for which the demand is still increasing. 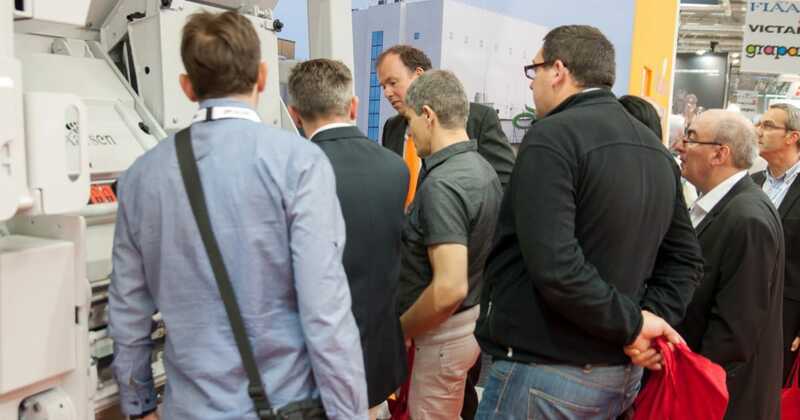 During the Victam we will live demonstrate the motor operated roller adjustment on the pellet mill and the automatic screen exchange on the hammer mill. We invite you to witness the ease of operation and performance yourselves. To be able to make the right decisions in the production process, accurate information on production equipment, raw materials and stock is a requirement. 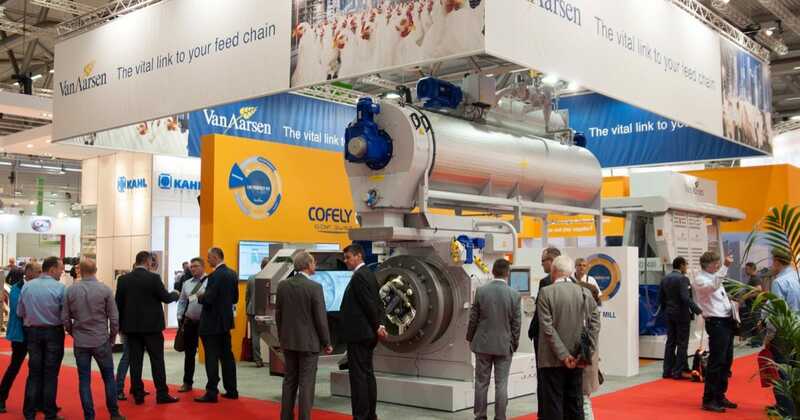 Cofely is the strategic partner of Van Aarsen for Feed mill automation. With this software you will get real-time insight into these processes. The operating system brings with it substantial cost savings. 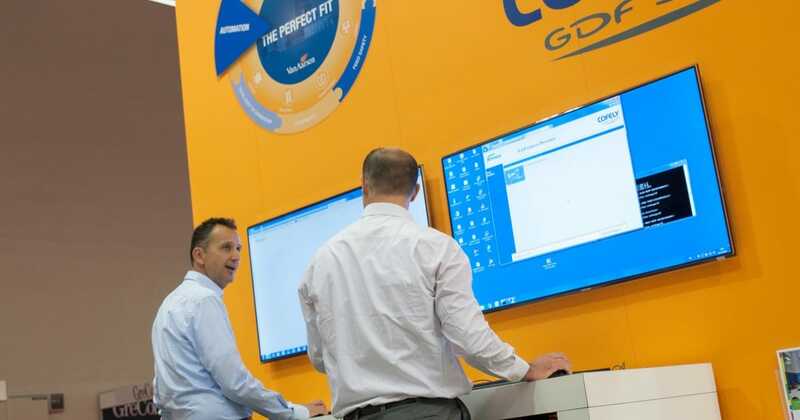 Cofely will be present at our stand to demonstrate our integrated automation system called the “Mes-toolbox” and show you what it could do for you. 9 and 10 June, 10.00-18.00 hrs. 11 June, 10.00 – 17.00 hrs. 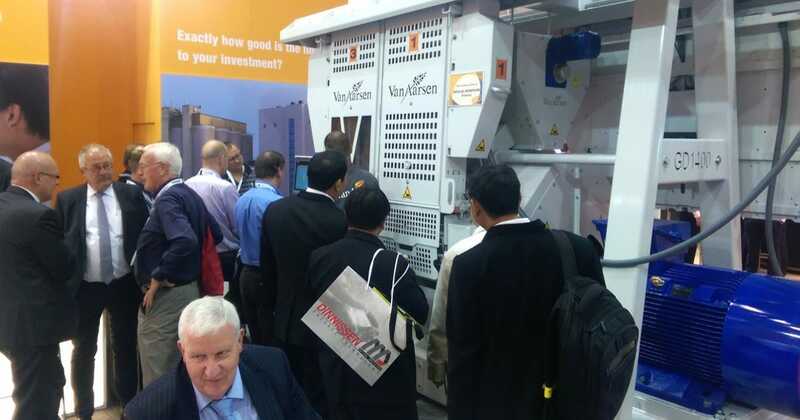 During the VIV 2015 in Bangkok Van Aarsen International was awarded the contract to deliver all machinery for a new 60 mt/hr feedmill for Hoa Phat Group in Vietnam. 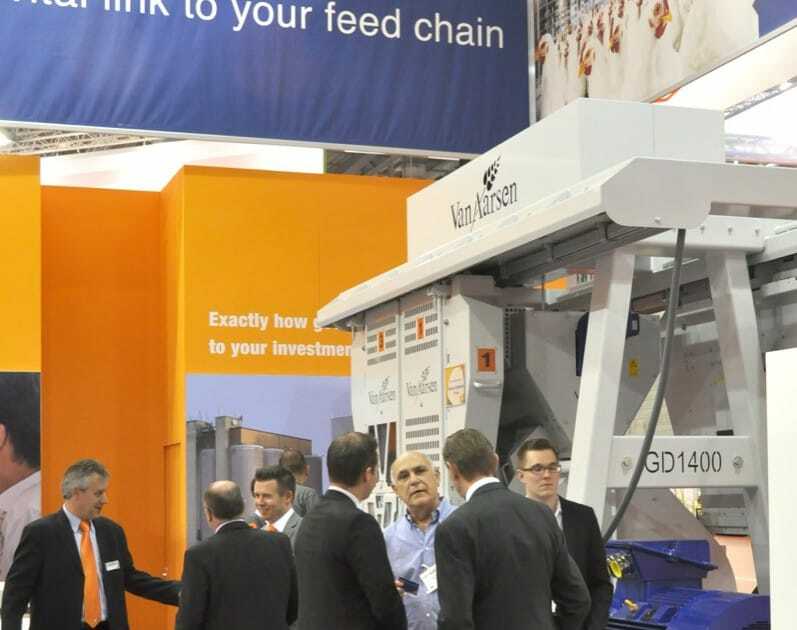 After careful consideration Hoa Phat Group have chosen Van Aarsen International as their strategic partner for all key machinery for their new diversification in animal feed milling. Hoa Phat Group is one the major private industrial production companies in Vietnam. Already established as a private company in 1992 and meanwhile noted on the Stock Exchange, Hoa Phat Group realized a turnover of nearly 900 million US$ in 2014, Hoa Phat is a one the top 3 steel producers and one of the leading suppliers of office furniture in Vietnam. 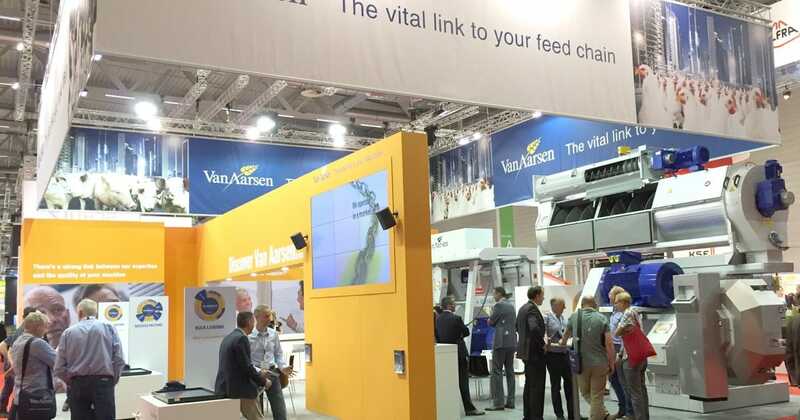 Van Aarsen International is developer, manufacturer and supplier of machines and turnkey projects for the production of animal feed worldwide. “We design and construct feed milling projects with a great diversity of high quality, innovative machinery. 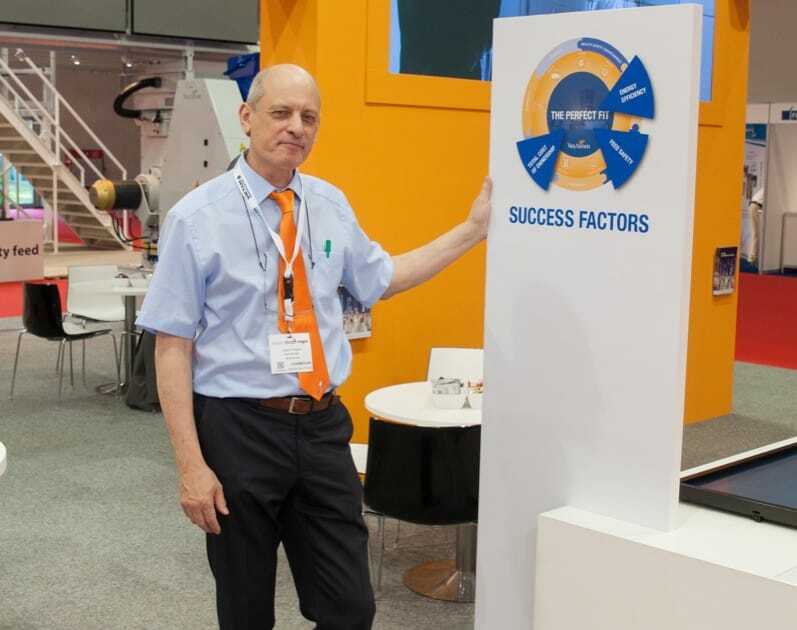 Our systems are developed to lift production and lower operational costs with focus on minimizing energy consumption and maximizing feed safety” says Hans van der Weijden, sales director at Van Aarsen International. Van Aarsen International is active in Vietnam since 1994 through their agent Peja Vietnam. 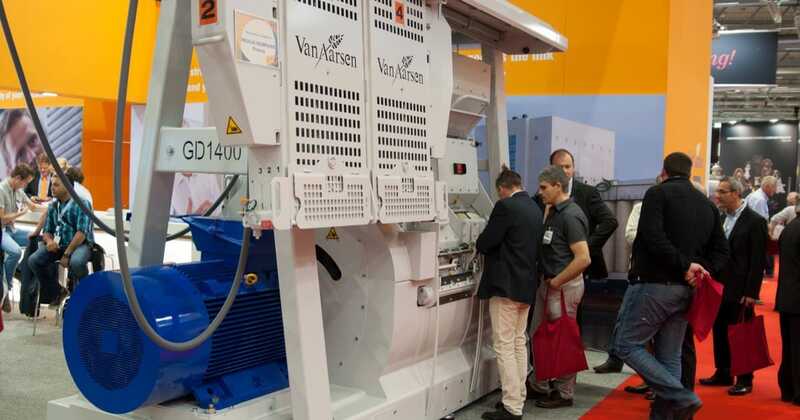 With over 200 machines operating at nearly 40 references throughout the country, Van Aarsen is market leader in the vibrant and dynamic animal feed milling industry in Vietnam. The contract includes supply of all key machinery such as hammer mills, mixers and pellet mills, as well as the state of the art design with a capacity of 60 mt animal feed per hour. Hans van der Weijden continues “We are currently working on many other projects in the South East Asia region. 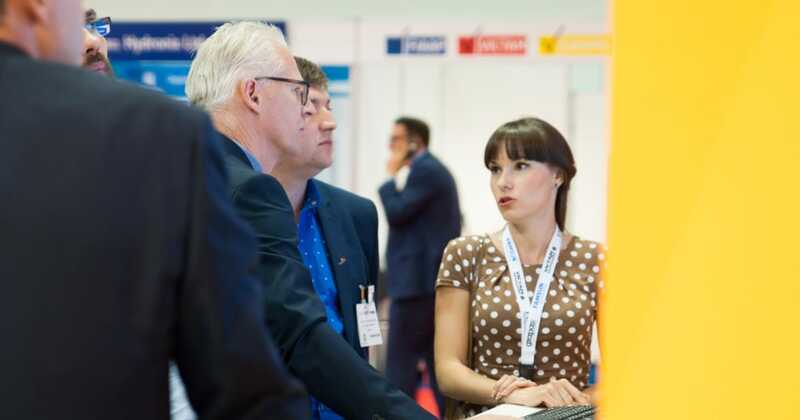 The demand for meat is increasing all over South East Asia, We are meeting this rising demand for state of the art machinery and modern design via our well-established sales and service network throughout the region”. 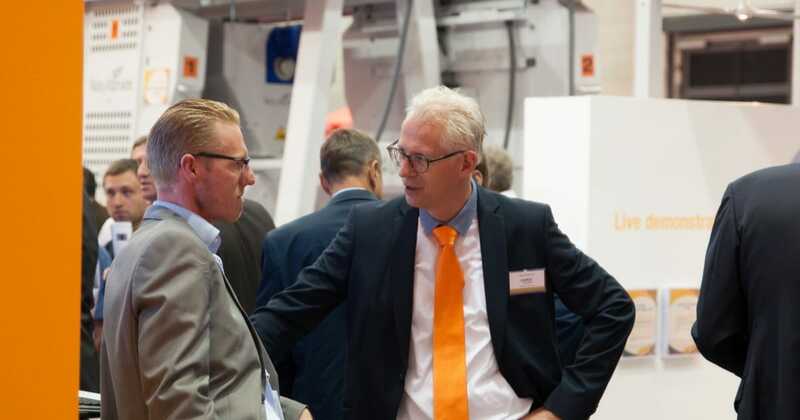 On 15th of April Skala Prosessteknikk invited their relations in Norway to attend a seminar to learn more about the feed milling process and solutions of Van Aarsen International B.V.
We were proud to receive very positive reactions on the presentations of Marco Theunissen area sales manager and Hans van der Weijden, sales director of Van Aarsen International B. V.
Especially the technical possibilities of the Van Aarsen machines and the realization of the Kalmar Lantmän project in Sweden were regarded as highly interesting topics by the attending feed producers. Skala Prosessteknikk is Norway’s leading supplier of processing equipment, automation solutions and operational material for the food industry.Skala Prosessteknikk represents Van Aarsen International B.V. in Norway for their feed milling process equipment.